ASICS GTC-ELITE athletes travelled to multiple locations for competition including: Jacksonville, Lake Nona/Orlando and Tallahassee, FL, Los Angeles, CA: Charlotte, Raleigh, Winston-Salem and Asheville, NC; Williamsburg, VA; Newport, NJ; New Haven, CT; Northport, NY; Boston, MA and Minneapolis-St. Paul, MN. At the Jacksonville Bank Half Marathon in Jacksonville, FL, Mark Leininger placed ninth in 1:04:27, while running a personal best of a whopping five minutes, to qualify for the 2016 USA Olympic Trials Marathon. He was joined by Ricky Flynn, who already had his qualifier but used the race as a tune-up for the Marathon Trials in LA, placing 25th with a time of 1:04:50. Dylan Hassett placed fifth among the women with a time of 1:14:09 and Nicole DiMercurio placed 12th in 1:14:37. It was both athlete's first half-marathon and their first race longer than 15K. 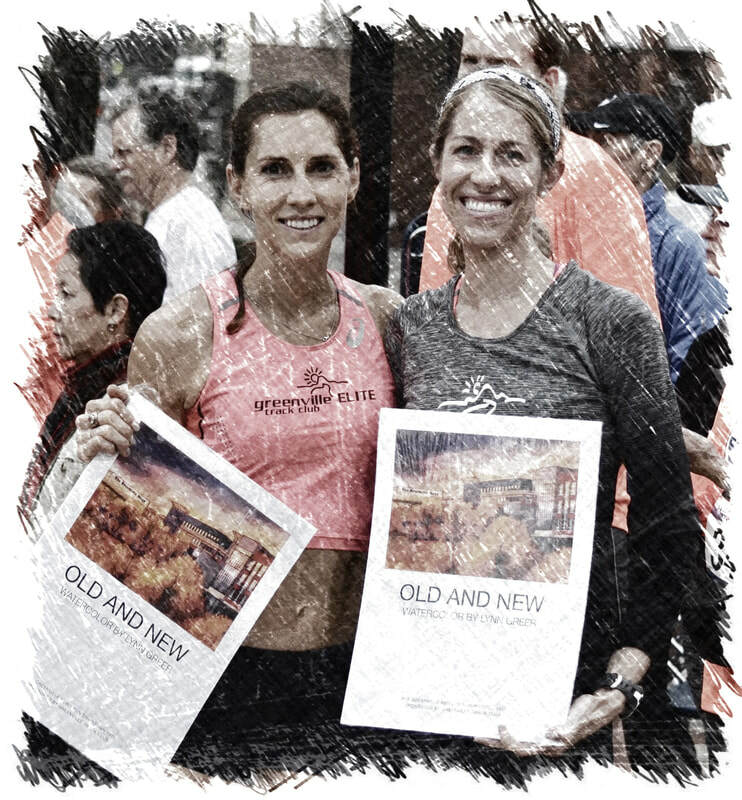 Both women ran under the 1:15:00 qualifying standard for the USA Olympic Trials Marathon. Chelsi Woodruff ran 17:41 to win one of The Greenville News Run Downtown, one of the city's largest 5K events. She finished ten seconds ahead of her teammate Alison Parris (17:51), who was the runner-up for the second consecutive year. It also marked the the third straight year an ASICS GTC-ELITE runner has won the women's title. ​Kate Dodds joined the program after Dodds completing her collegiate running career at Bloomsburg University in Pennsylvania where she graduated in December with a degree in Psychology. She earned NCAA Division II All American honors in Cross Country in 2014 and in Outdoor Track & Field in 2015. She finished 3rd at last year's NCAA DII National Championships in the 10,000 meter event. The native of Ambler, PA, was also named a Capital One DII Academic All American for 2014-15. Carolyn Watson joined the post-collegiate Olympic development program. The 2013 graduate of Cedarville University relocated to Greenville from her former residence in Ohio to pursue her running dreams. Watson is a native of Oakwood, OH, majored in Psychology in college and is working on a post-graduate degree. ASICS Greenville Track Club-ELITE had three athletes compete in the 2016 USA Olympic Trials Marathon in Los Angeles, CA. On a very warm day, Mark Leininger placed 60th among the 105 men finishers with a time of 2:28:17. It was Mark's first marathon. Ricky Flynn had to scratch on the previous day due to a nagging leg injury. It would have been only Flynn's second marathon as his first was his 12th place finish in the 2012 USA Olympic Trials in Houston, TX. Nicole DiMercurio and Dylan Hassett both were also competing in their first marathons and covered the first seven miles at approximately 6:00 per mile pace before suffering over the final half of the race. Although slowing considerably, both women completed the distance. DiMercurio finished 82nd with a time of 2:52:10, while Hassett was 113th in 2:57:46. Of the 198 women who started, 149 finished. Kate Dodds ran to victory in her first competition since recently joining the post-collegiate, Olympic development program, taking the lead with 600 meters remaining in the women's 3,000 meters at the UCS Invitational held at the JDL Fasttrack in Winston-Salem, NC. Her winning time of 9:49.36 was a new personal best. Chelsi Woodruff won the women's 1500 meter competition in a time of 4:35.53. Carolyn Watson, running in her first competition since joining the group in January, placed sixth in 4:41.79. Kate Dodds was impressive in winning the women's 5000 meters with a time of 16:52.80. 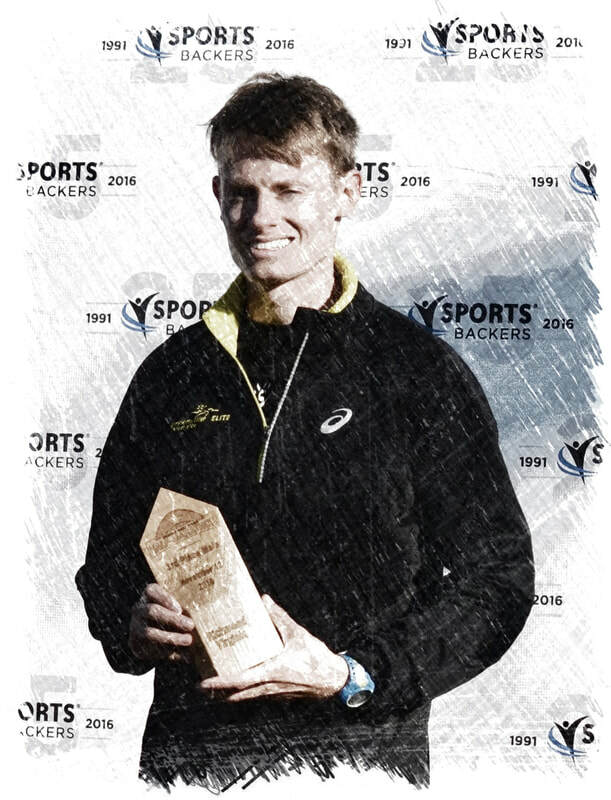 In his first race since the USA Olympic Team Trials Marathon in Los Angeles last month, Mark Leininger ran to a new personal best for 10,000 meters on the track at the Raleigh Relays with a time of 29:28.67. In the women's 10,000, Dylan Hassett ran to a seventh place finish with a fine time of 34:36.79, which is less than 10 seconds off of her personal best. Dylan Hassett returned to her home track at the College of William and Mary and placed 5th in the Colonial Relays women's 5,000 meters in 16:35.3. Chelsi Woodruff returned to her alma mater at Florida State University and won the women's 1500 meters in the Seminole Invitational running a new personal best of 4:26.32. It was her second victory in two attempts over the 1500-meter distance this season. Dylan Hassett ran to victory in the women's division of the 39th Annual TD Bank Reedy River Run in beautiful Greenville, SC. covering the hilly 10K course in 35:01. For her efforts she took home the first place cash award of $1000. She also added $200 as the first South Carolina resident for a total of $1200. Kimberly Ruck, won $500 as the third female overall and an additional $100 as second South Carolinian for a total of $600 and had a time of 35:49. Mark Leininger and Ricky Flynn finished 3rd and 4th overall with fine performances. Leininger ran 30:21 to earn $500 for his placing. He added another $200 as first South Carolina resident and $100 for a time bonus of running under 30:30 for a total of $800. Flynn, coming off a recovery period for a prolonged lower leg injury, gutted out a 31:08 to earn $400. He also earned $100 as second South Carolinian and a total of $500. ASICS GTC-ELITE athletes led both the men's and women's divisions of the South Carolina Road Race rankings through May 7, 2016. Mark Leininger was ranked 1st, with Ricky Flynn ranked second. For the women, Dylan Hassett was ranked first with Chelsi Woodruff second and Alison Paris fourth. Dylan Hassett ran 34:33 to place third among women at the Newport 10K road race in New Jersey. For her efforts she earned $700 for third American finisher and another $200 as third overall. Mark Leininger, returning to his home state, ran 30:07 to place fourth overall and earned $400. ​Dylan Hassett placed second in the women's 5,000 meters at the 14th annual Music City Distance Carnival, finishing with a disappointing time of 17:04.38. Mark Leininger placed fourth in the men's 5,000 with a time of 14:25.8. Dylan Hassett ran a personal best of 34:03.64 to place 24th in the highly competitive women's 10,000 meters at the Portland Track Festival. She bested her previous track best of 34:26.95 by just over 23 seconds. Mark Leininger also placed 24th as he ran 29:58.68 in the men's 10,000. Austin Steagall, a recent graduate of the University of Mt. Olive in North Carolina, joined the program. He is a South Carolina native and graduated from Gaffney High School before attending Spartanburg Methodist College. Steagall earned NCAA DII All American honors by placing 2nd in the 3000-meter Steeplechase at the national championships conducted in Bradenton, FL, running a personal best of 8:55.46. Austin's personal bests included a 8:18 for 3,000 meters indoors, a 14:08 clocking over 5,000 meters and a 30:17 for 10,000. He was a three-time qualifier for the NCAA DII national championships in the 5,000, with a best finish of 11th (this year). Ryan Root also joined program. A graduate from North Central College in Illinois, where he competed for the DIII distance powerhouse under legendary coach Al Carius, he later worked with the University of Illinois Track & Field program as a volunteer assistant. During his collegiate career, Ryan placed as high as 5th at the NCAA DIII national championships in the 3,000 meter Steeplechase and earned All American honors. His personal best in that event is 9:03. He also ran 14:34 for 5,000 meters indoors and placed 10th at the national championships. In cross country, Root ran 24:05 for 8,000 meters. ASICS Greenville Track Club-ELITE athletes swept the men's and women's titles for the fourth consecutive year at the Edouard Michelin Memorial 5K conducted at the Michelin Conference Center just outside of Greenville, SC. Austin Steagall covered the 5K route in a new event record of 14:42. Dylan Hassett ran to victory with a time of 17:02. She was followed by Kate Dodds (2nd/17:33), Carolyn Watson (3rd/18:03) and two-time past winner Alison Parris (4th/18:31). 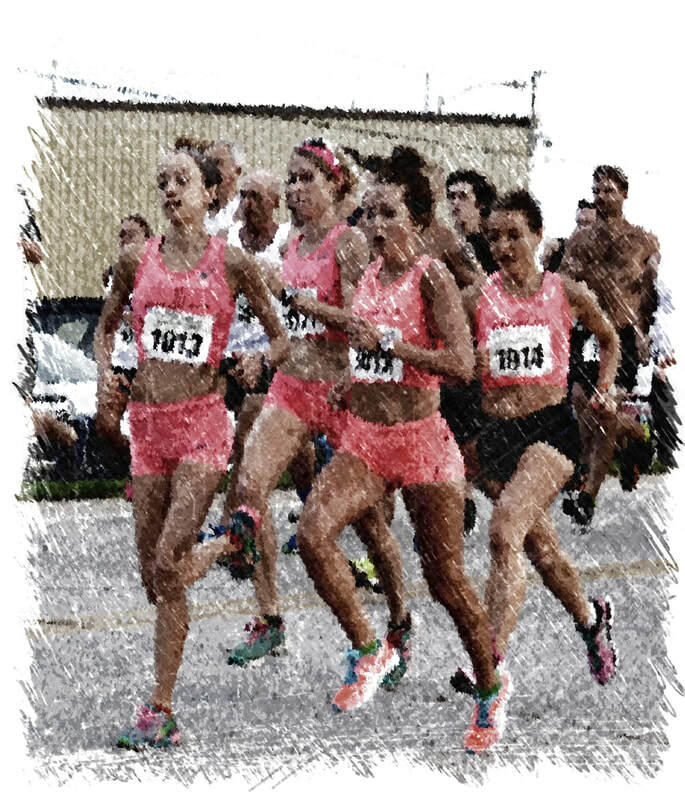 Carolyn Watson placed second in the women's division of the Oak City Mile in Raleigh, NC, running 5:10.0 over the downtown out-and-back route. She earned $200. Mark Leininger placed 6th in the 39th edition of The Great Cow Harbor 10K in Northport, NY. His finishing time of 30:16 averaged 4:53 per mile, earned him $600 and duplicated his placing from 2015, when he ran 30:47. Austin Steagall ran his first prize money event since joining the program in July and placed ninth to earn $300 with his time of 31:16. Mark Leininger and Dylan Hassett led the 2016 South Carolina Road Race Rankings released on October 2. Austin Steagall ran to victory in the 44th annual Gene Mullin Invitational conducted on the Furman University cross country course finishing with a time of 15:24. Mark Leininger continued to improve his status among the USA's top road racers as he ran 48:56 to place 16th in the 2016 USA 10-Mile Championships in Minneapolis-St. Paul, MN, improving from his 21st place, 49:24 performance last year. ASICS Greenville Track Club-ELITE's women placed 4th among USATF teams in the 2016 USATF Women's 10K Championships conducted with the 40th Annual Tufts Health Plan Women's 10K on Columbus Day in Boston, MA. They finished behind the Boston Athletic Association's High Performance team, the Hansons-Brooks Original Distance Project (based in Michigan) and California's Strava Track Club. Dylan Hassett led the team with a 19th place overall finish (15th American), running 34:37. She was followed by Kate Dodds, who ran a personal best of 34:49 for 22nd (Overall) and 18th US citizen. Kimberly Ruck had an off day and finished 33rd OA/28th US with a time of 36:17 and Alison Parris, coming off a foot injury, was 37th/32nd. Mark Leininger ran to victory in the Run Nona 10K in Lake Nona, FL, winning by a margin of seven seconds with a time of 30:18. He averaged 4:52.4 per mile. 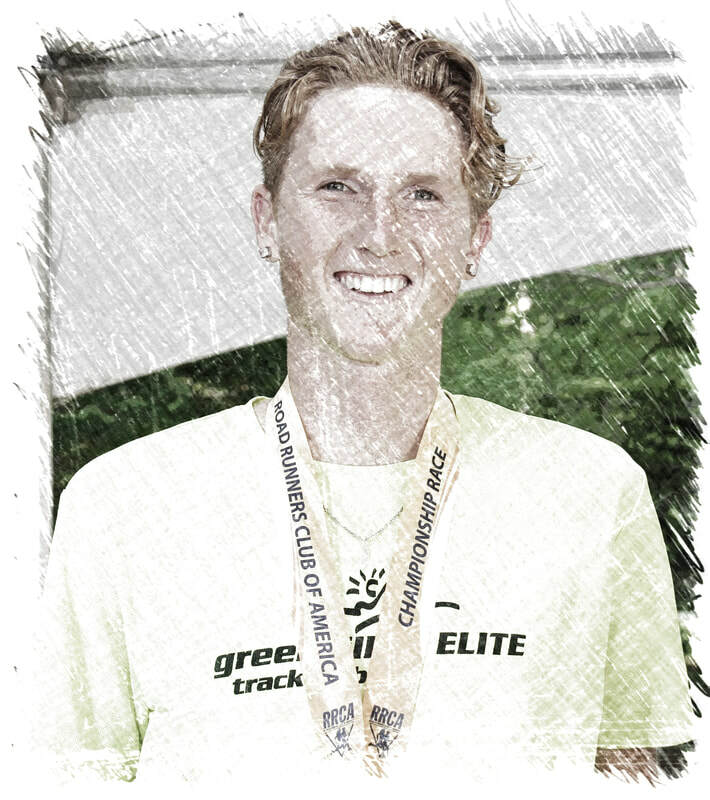 Austin Steagall ran a personal road best for 10K in finishing seventh with a time of 30:55 (4:58.5 per mile).​ Dylan Hassett finished second with a time of 34:29 to earn $2,500 for the second consecutive year at this venue. Last year she placed second in the event over a 15K course. Kimberly Ruck placed 6th among the women with a time of 35:59. ​Frank DeVar and Carolyn Watson ran to victories in the Spinx RunFest 5K in downtown Greenville, SC. It was the first competition as a GTC-ELITE athlete for DeVar, who joined the program in August. The former Washington, DC resident led from the start and covered the winding route in 15:32. Watson ran 17:07, a personal best by eleven seconds, in the women's division and won by a minute and 43 seconds. Austin Steagall ran a new personal best of 23:34 to place fifth in the VCU Health 8K event in conjunction with the Anthem Richmond Marathon, in Richmond, VA. In the women's division of the 8K, Kate Dodds ran 27:48 (5:35 per mile) to place ninth in a very deep field. Alison Parris placed 12th wth a time of 28:48. Mark Leininger paced a lead-pack of seven in the American Family Fitness Half Marathon event through 10K, passing in 31:25. The pace then increased after 8 miles and Leininger dropped back into fifth place until kicking over the final 800 meters to place third overall with a final time of 1:04:57. He covered the final 10K in 30:27 to earn $250 in another very talented field and averaged 4:57 per mile for the 13.1-mile distance. Dylan Hassett placed fourth among the women at Richmond with a time of 1:16:03. She earned $150 by averaging 5:48 per mile for the half marathon. Alison Parris returned home to Maryland and won the 16th Annual Hagerstown Community College Turkey Trot 5K with a time of 16:45. Kate Dodds also returned home, to Pennsylvania, and won the 2016 Abington YMCA Gobble Wobble 5K on a cold and wet Thanksgiving morning. Her time was 17:59 over the hilly course. Kimberly Ruck placed second among women in the 16th Annual Asheville Citizens-Times Turkey Trot with a time of 18:29 over a hilly 5K route.